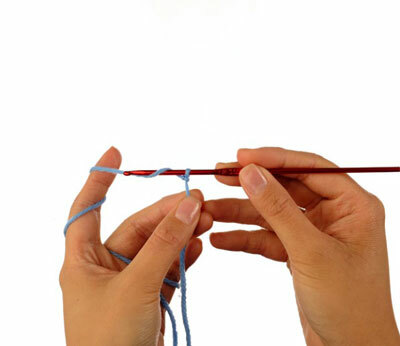 Some knitters prefer to use straight needles rather than knit in the round, don’t own circular or double-pointed needles, or just want to try something different. These basic flat socks have one seam that runs down the back of the leg and two more seams on the foot, one on either side. 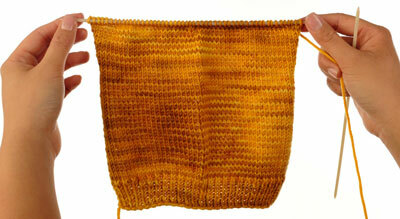 They are similar in construction to top-down socks knit in the round. Use the cast-on numbers according to the chart. Keep in mind that you will use 2 stitches in the leg and 4 stitches in the foot for seaming. You might want to cast on for a larger size to compensate for these lost stitches. 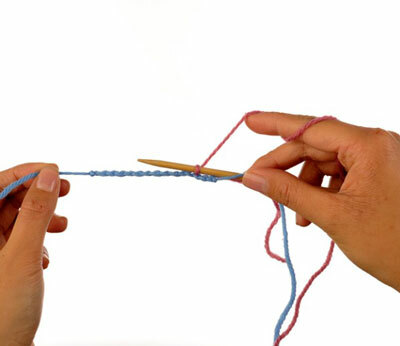 A provisional cast-on is a temporary way to start your knitting—later, you take it out to expose live stitches—and is used in many toe-up socks. You’ll need some smooth waste yarn in a similar weight to the working yarn. Make a slipknot out of the waste yarn and place it on the crochet hook. Pull to snug up the slipknot. Holding the yarn in your left hand and the hook in your right, bring the yarn over the hook to the left of the slipknot. 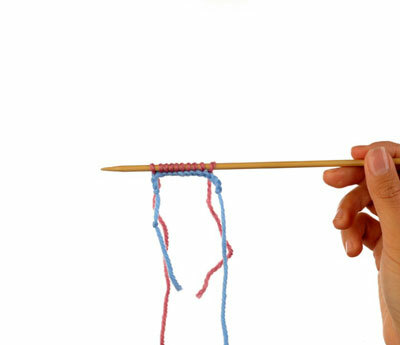 Use the hook to pull the yarn through the slipknot on the hook, producing a new stitch. Repeat Step 2 until the chain is several stitches longer than the number of stitches you need to cast on. Cut the working yarn and pass the cut end through the last chain stitch. 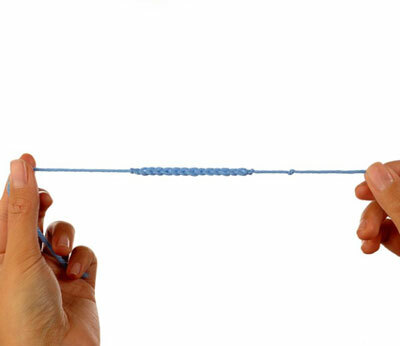 Tie another knot into this tail, so you know which end to pull out later. The chain is made up of smooth V stitches on one side and bumps on the other side. Lay the chain flat with the bumps facing up. Working from right to left, insert a needle tip under a purl bump. Wrap the working yarn around the needle as if to knit, and pull this stitch through the bump—1 stitch provisionally cast-on. 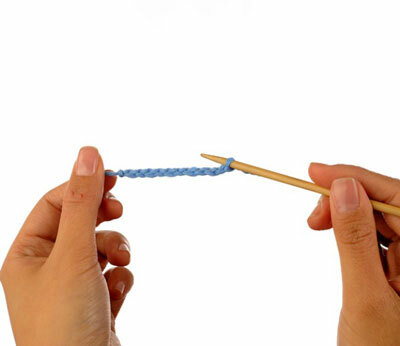 Insert the needle tip under the next bump and wrap the yarn around the needle, pulling through the new stitch. Repeat Step 7 until all cast-on stitches are picked up. 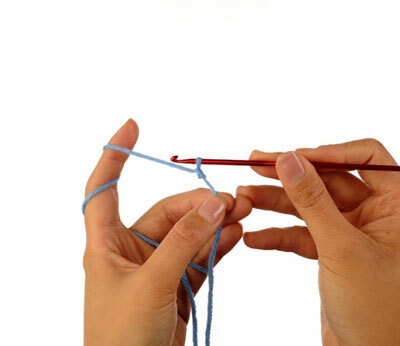 To remove the crochet chain, locate the end of the chain with the knot. Undo the last stitch of the chain and carefully pull out the chain, placing each live stitch onto a needle as you expose it. The entire cuff and leg is knit in one flat piece with edge stitches to seam at the end down the back of the leg. Knit the cuff as you would for top-down socks, in ribbing or another stitch pattern, turning your work at the end of each row. If you are following a pattern that is designed to be knit in the round, you need to convert the stitch patterns to flat knitting—on wrong-side rows, stitches that are knits will be purled, and vice versa (purls are knitted). Maintain 1 stitch at each end of the piece in stockinette stitch (knit on the right side, purl on the wrong side) for easy seaming at the end.